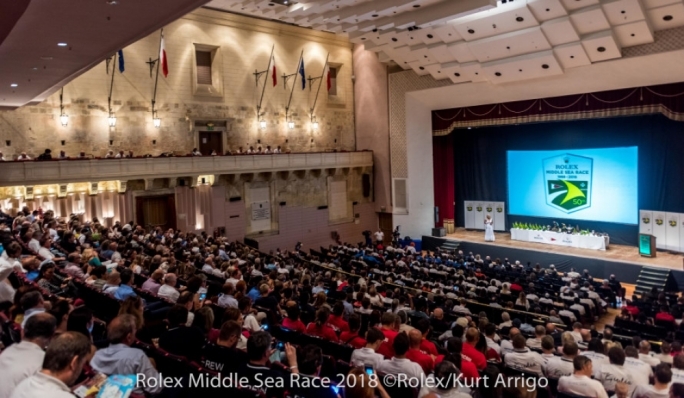 A record breaking fleet embarked on the 50th anniversary Rolex Middle Sea Race with the dedication, perseverance and spirit which has come to define this famous international offshore race throughout the past five decades. 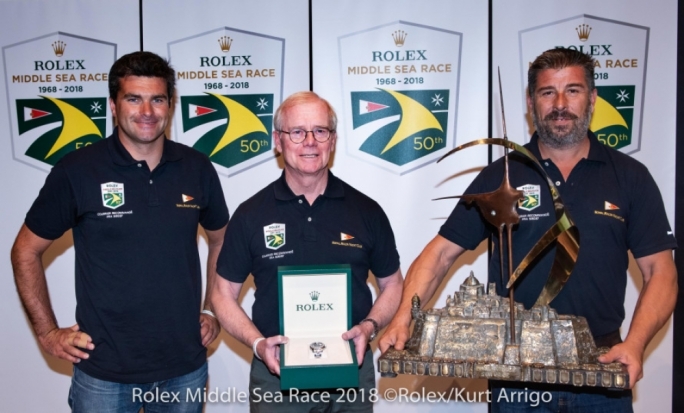 In claiming a fourth straight monohull line honours success, and a fifth overall, American George David is now that specific award’s most decorated skipper. 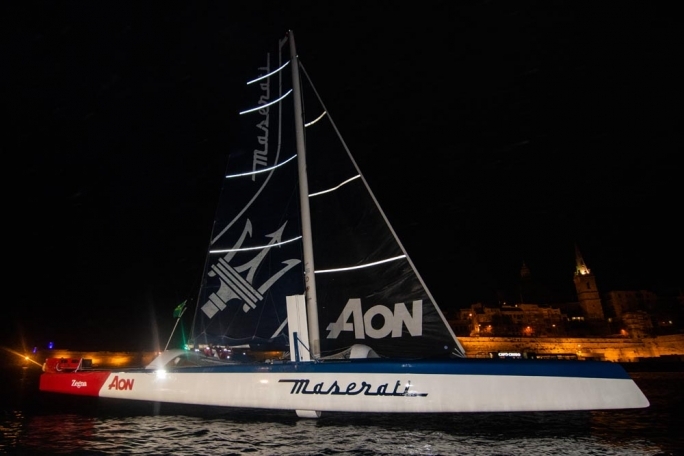 Even the fastest multihull, Maserati Multi 70, skippered by Giovanni Soldini, was unable to surpass the increasingly resilient time of 47 hours, 55 minutes and 3 seconds set by David’s previous Rambler in 2007. 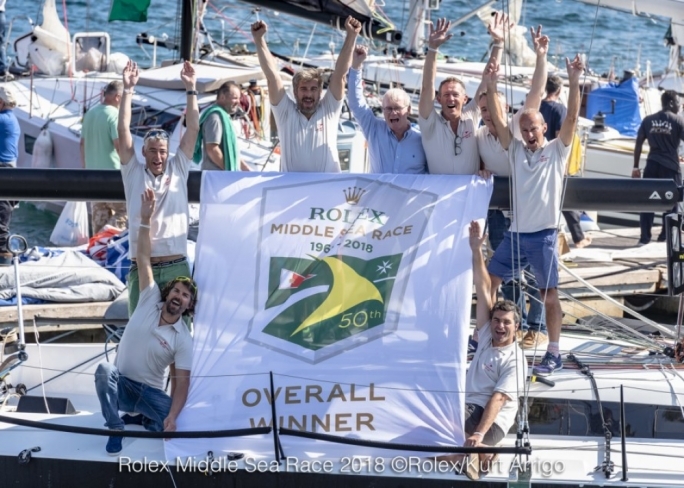 Overall victory on IRC handicap belonged to Géry Trenteseaux’s JPK 11.80 Courrier Recommandé from France, the very same Trentesaux who three years ago prevailed from a fleet of 356 yachts to claim the 2015 Rolex Fastnet Race. 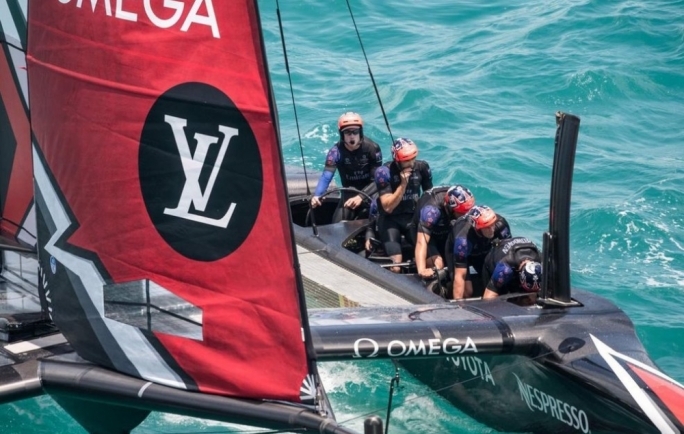 How fitting that a French skipper triumphed in the race’s golden anniversary. 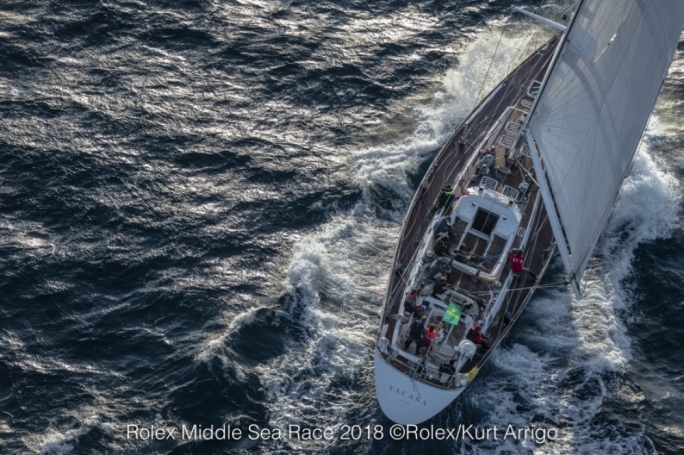 After all, it was a Frenchman, Albert Debarge, who in 1968 offered his friend John Ripard Snr the opportunity to choose a yacht to sail the inaugural race. A race, Ripard, a renowned local sailor, would go on to win. “His only condition was that the boat’s name had to be Josian, which was his wife’s name,” recalled Ripard who opted to commission a design from a then emerging boat builder, Nautor’s Swan. 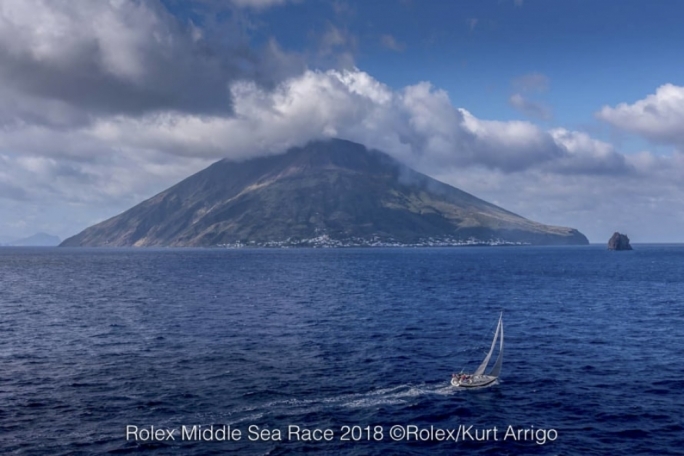 Originally a clockwise route around Sicily, today the Middle Sea Race is a 606-nm anticlockwise passage that still takes in scenic and tactical junctures like the Strait of Messina, Etna, the volcanic island of Stromboli, the rugged Aeolian and Egadi islands, beginning and finishing off Valletta, the 2018 European Capital of Culture. 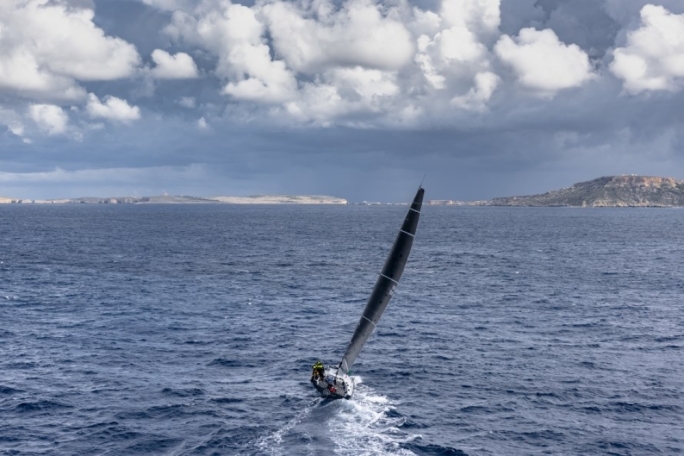 As the frontrunners continued to arrive in Valletta during the race’s third evening, it became evident that this was not going to be a big boat race. What followed was a procession of yachts crossing the finish line in Malta and assuming temporary leadership of the race. Momo, Endlessgame, Tonnerre de Glen, all at one stage could dream of success. 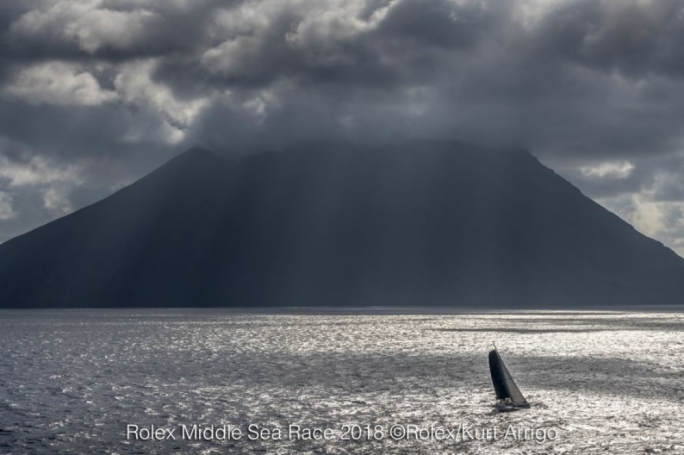 Then on the fourth afternoon of the race, Trentesaux’s yacht, launched earlier this year, picked up pace down the west coast of Sicily. Her times at the islands of Pantelleria and Lampedusa suggested she needed to be taken seriously. 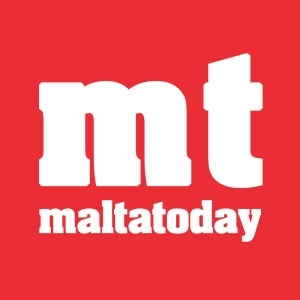 And on arriving in Malta, Courrier Recommandé assumed leadership of the race. The scene was set for a French boat to win the race for the third time – following Antares in 1981 and Spirit of Ad Hoc in 2008. Competing for the first time, and amongst the crews to travel furthest to Malta were the Filipino sailors on the 40-ft Hurricane Hunter. In a race that witnessed 31 retirements, their sense of accomplishment on crossing the finish line off Valletta was palpable. While winning the main prizes and classes is a significant incentive at the race, the experiences gained and challenges conquered in completing the race are as memorable and character defining. 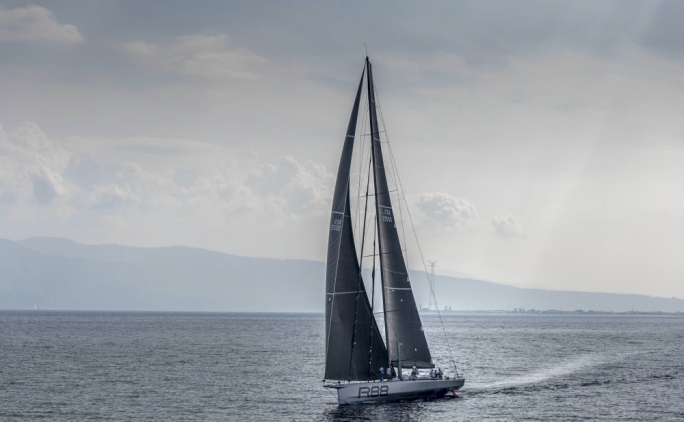 Perhaps no boat embodied this more than the race’s last finisher, L’Aventure, which spent five days, 13 hours and 45 minutes at sea. Likewise, those who sailed double-handed and for whom resources are extended. In this Class, last year’s overall race winning owner Igor Rytov triumphed with Bogatyr. A year ago, an exhausted Rytov remarked that he couldn’t conceive returning to the race. Yet twelve months later, the Russian sailor attacked the course with just as much vigour and determination.